Local Locksmith in TorontoAre you in need of a local locksmith in Toronto? FC Locksmith crews are trained and well-equipped to cover all your needs 24/7. Who will provide faster locksmith services than your local, reliable contractors? We are fast and efficient! Contact us and we'll be right there! Auto Locksmith ServicesCall for 24 hour car locksmith! When the car key is lost, the transponder key is jammed and you need automotive locksmith service, you can count on the speed and excellent work of the well-trained specialists from FC Locksmith. Is the trunk stuck? Call for trunk opening! Emergency LocksmithCall FC Locksmith for 24 hour services! When it comes to emergencies we are even faster! Our technicians are knowledgeable, trained and well-prepared! Our equipment is sophisticated and every van is fully organized! Nothing can go wrong with the assistance of our emergency 24 hour contractors! Access control systems & CCTVTrust our Access Control company for all needs! Our knowledgeable technicians are masters in CCTV cameras, handicap automatic door operators, electric strike and buzzer systems, automatic sliding doors and telephone entry intercoms. Our services cover all access control systems and include their installation, maintenance and repairs. Residential LocksmithMake your home a secure place! Trust FC Locksmith for lock change, repair and rekey! 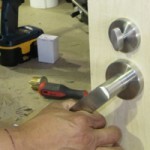 Our contractors are well-trained, fully trusted specialized professionals for residential locksmith services. We'll be there for your needs! We respond immediately and 24/7 to your emergencies! Let us secure your world! FC commercial locksmith services! Every technician at FC Locksmith is fully-equipped and knowledgeable of modern lock systems. We can find the best solutions for your office, store or industry! We secure your professional environment, where you build your future! We have an extensive team of fully-trained technicians that are able to contend with all aspects of locksmithing, including some you might not be aware of. If you require a lock installed, repaired, or replaced, FC Locksmith is here to help. If you need a key repaired or copied, we can help. FC Locksmith attends to all of your traditional locksmith needs, including lockout assistance. As well as attending your lock and key requirements, FC Locksmith is also able to enhance the security of your Beeton property. Whether you’re looking to secure your home or business, FC Locksmith can help. Or team is fully-trained in security alarm system installation and maintenance. We work with a variety of makes and models, and are able to offer the system that best suits your needs. In addition to attending your home or place of work, FC Locksmith is also able to repair or replace automobile locks, including modern electronic locks. We also offer lockout assistance in the event that you can no longer get into your vehicle. 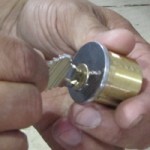 Unlike some other locksmith, FC Locksmith provides a round-the-clock service. Our telephone hotline is open 24 hours a day and we have a fully-trained team of technicians available to assist. What’s more, our locksmiths can attend prearranged or emergency appointments during evenings, weekends, and public holidays. FC Locksmith is available today. Contact us to find out how we can help you.